bookings from coach parties to birthday parties – whatever your age! 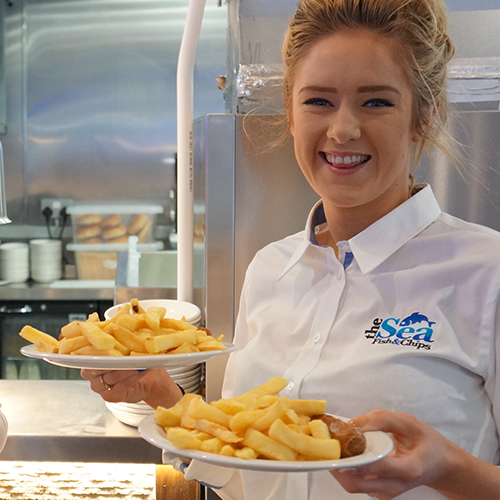 All our fish and chip restaurants have a fun atmosphere, and what’s more, some seat up to 180 people, many have private areas available and most provide provide excellent access and facilities for disabled customers. To make it simple for group and party organisers, we offer a special group menu, including vegetarian choices, and complimentary meals for organisers of larger groups, plus other incentives. As group booking options and offers may vary from restaurant to restaurant, please call or email your preferred restaurant to find out more and discuss your requirements in greater detail.